UPDATED: Wed., Jan. 16, 2019, 1:31 p.m. 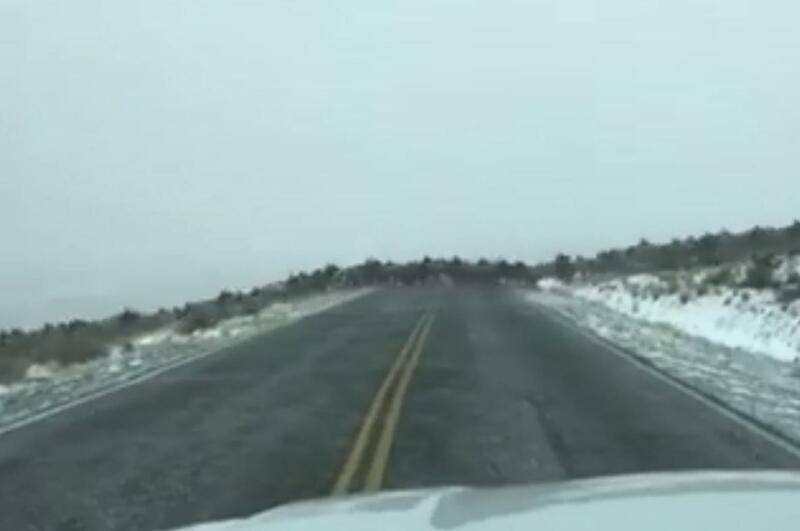 Hundreds of elk streamed across a road near Ellensburg last week. The migration was caught on video near Puget Sound Energy’s Wild Horse Wind and Solar facility. The animals are starting their yearly migration. Roads, particularity major interstates, pose a huge danger to the large ungulates and really any animal trying to get safely from point A to point B.
Freeways and roads disrupt natural animal migration paths, leading to increased mortality and fragmenting habitats. It’s estimated that 1.2 million dogs die on American roads every year and more than 5 million cats perish. One oft-cited, although dubious, statistic claims that more than 1 million animals die on U.S. roads daily. The New York Times reported in 2007 that wildlife-related crashes increased 50 percent from 1990 to 2004. At that time roughly 200 people died each year in wildlife-related car accidents. Projects like the I-90 Wildlife Bridges Coalition are attempting to build animal over and under passes across key stretched of I-90. So far there are six undercrossings and one overcrossing east of Snoqualmie Pass. The Washington project was initially modeled after an underpass and overpass in Banff National Park, which crosses over the Trans-Canada Highway. Since that overpass opened 20 years ago, it’s estimated that 152,000 animals have crossed safely. Published: Jan. 15, 2019, 6:59 p.m. Updated: Jan. 16, 2019, 1:31 p.m.